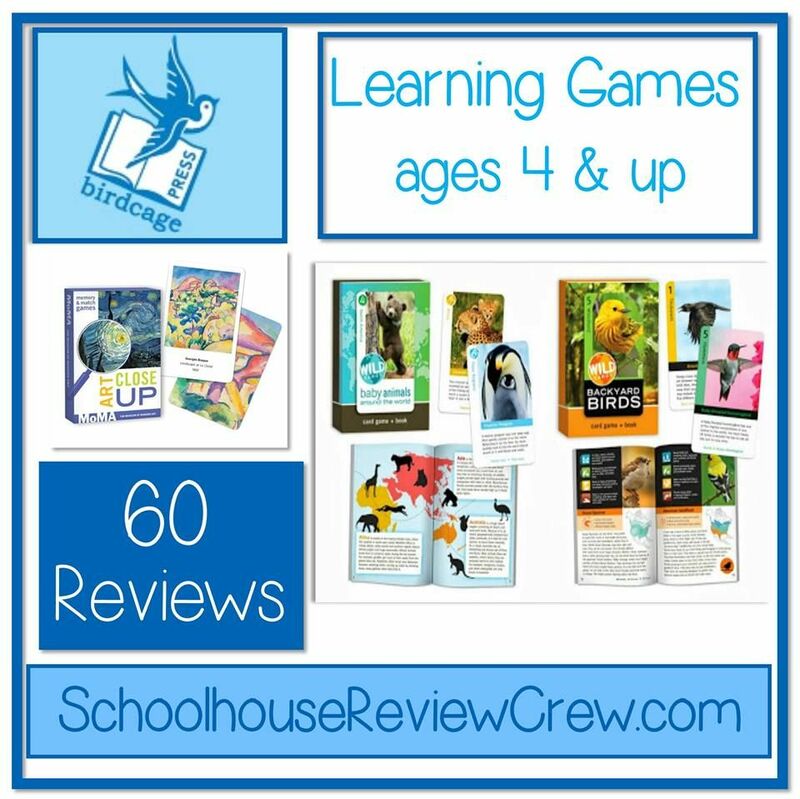 Birdcage Press believes in the power of using games to make learning fun for kids of all ages. Members of the Schoolhouse Review Crew have been using beautiful sets of card games to teach their children science, history, art, and more over the past several weeks. 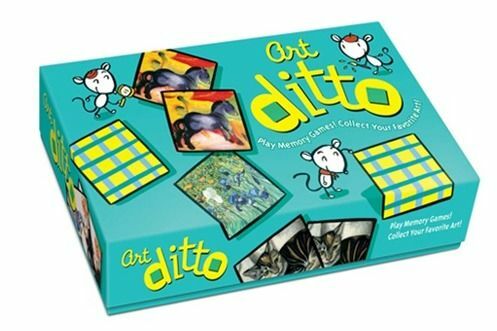 Art Ditto ($24.95) exposes young children (ages four and up) to great works of art and foreign languages by using museum quality illustrations for the tiles of a traditional memory matching game. It contains 48 art tiles and eight big collecting cards. 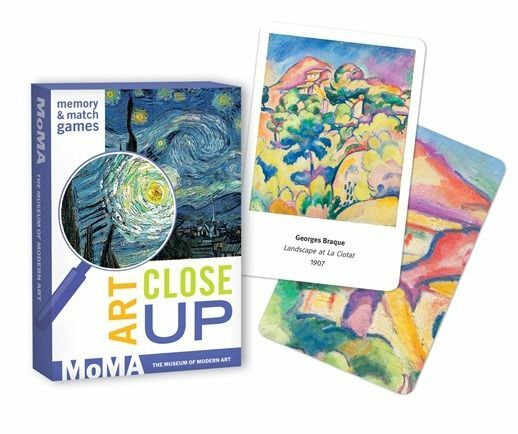 Older kids can use either the cards in either Art Close Up: Museum of Modern Art ($10.95) or Go Fish for Impressionist Artists ($11.95) to learn about some of the most famous paintings in the world. Art Close Up contains 48 cards that can be used to play multiple fun games, including Memory or Old Maid. 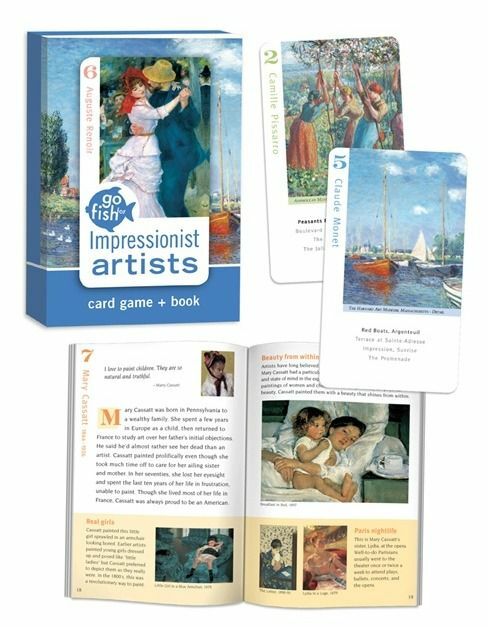 Go Fish for Impressionist Artists contains 36 playing cards and a 28 page fact-book about the 8 impressionist artists feature in the game. For nature lovers, Birdcage Press offers Wild Cards: Backyard Birds and Wild Cards: Baby Animals Around the World (each $10.95). 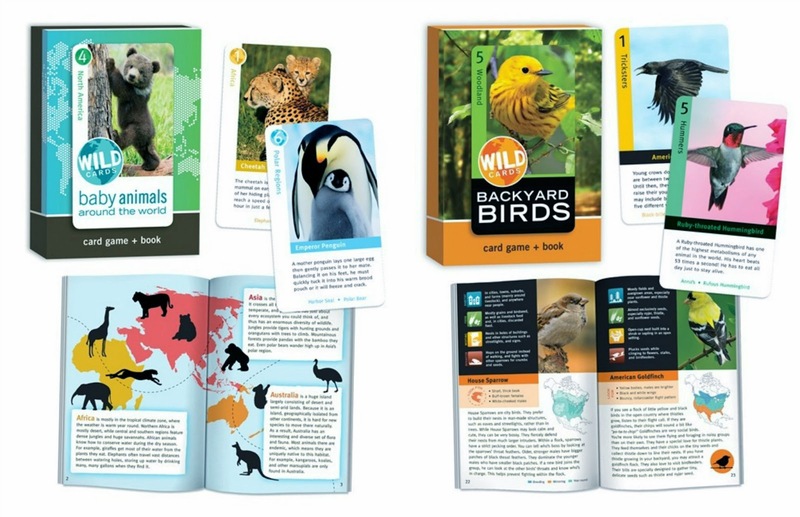 Each set features 36 stunningly illustrated cards and a corresponding fact book (approximately 30 pages long). 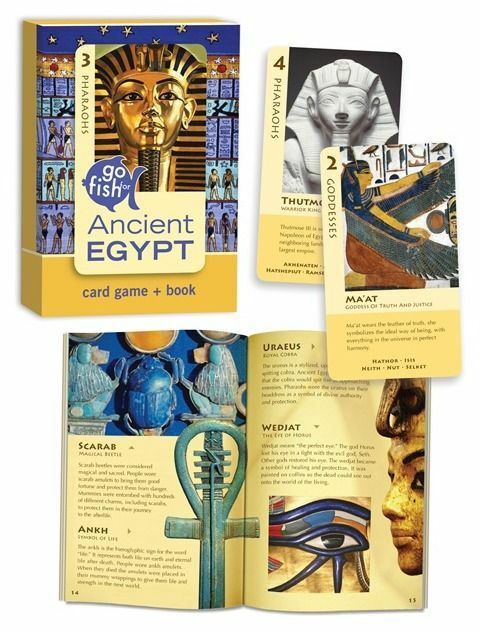 Go Fish: Ancient Egypt ($10.95) combines both history and art studies. The set 36 cards comes with a 34-page companion book packed with additional facts. With the exception of the Art Ditto game for preschoolers, all of the card games are intended to be used by families with children at least 5-7 years old. Older children and adults will enjoy them as well. Does anyone know if the Wild Cards Backyard Birds game is just a matching game or something more? It doesn’t give enough of a description to tell how the game is played. Thanks for the question! You can play Memory, Old Maid, and Go Fish with the cards or use them as bird identification. The photos are lovely.